Inside you will find a spacious layout that is full of light. 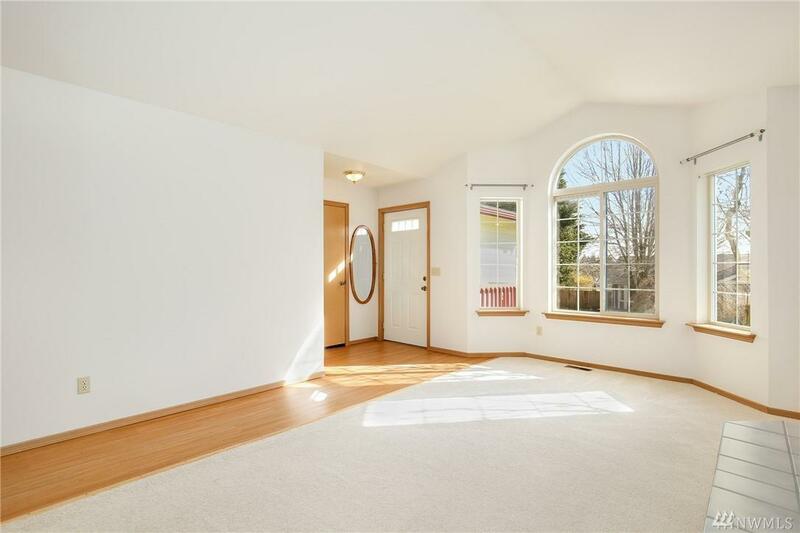 Living rm features vaulted ceilings, large arched window with Mt. Baker peak-a-boo view. 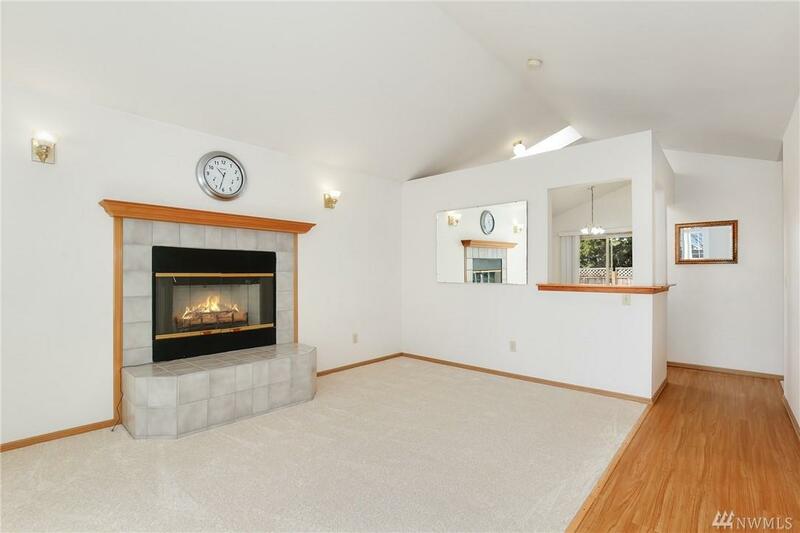 Cozy up to the tiled fireplace for those chilly nights. Kitchen is bright w/ skylight window & ample storage for goods. Adjacent bdrm can also be used for formal dining. Host BBQs on a private deck & relax in the hot tub. 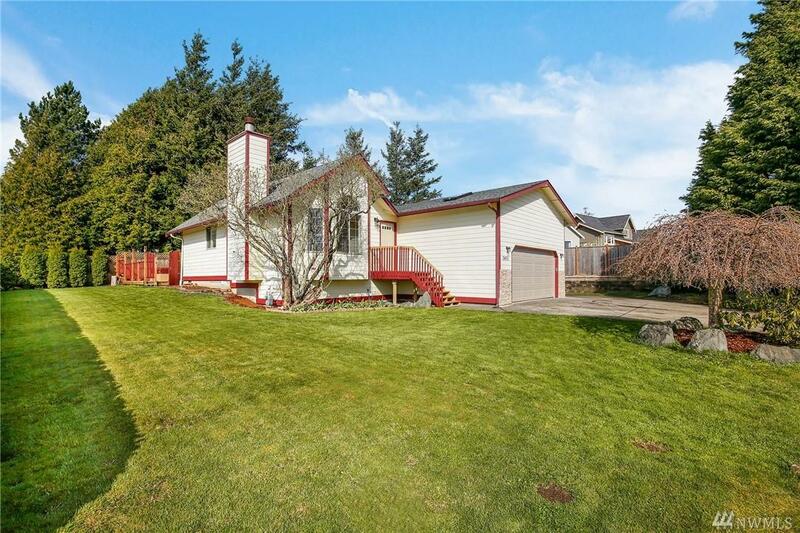 Generous master bdrm w/ attached bath. Fresh interior paint, new flooring/carpet. Private landscaping. Roof put on in 2017.